See a lovely video of winter castle gardens below. The upper part of the gardens adjoining the castle is divided by terraces with flower beds and wooden fencing. 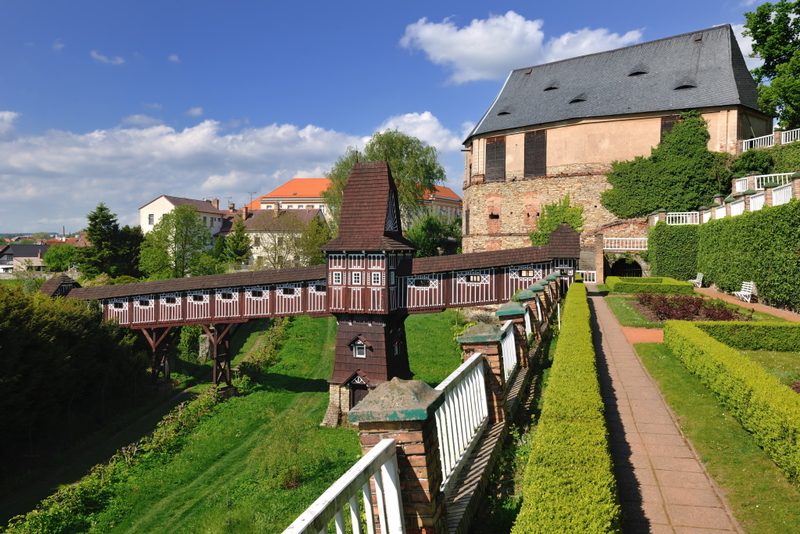 The moat was linked by a stylish wooden covered bridge designed by Jurkovic. The lower part of the gardens was converted by Jurkovic into a French style decorative garden with trimmed hedges and axial symmetry. In the middle of this garden is a fountain with a gargoyle. 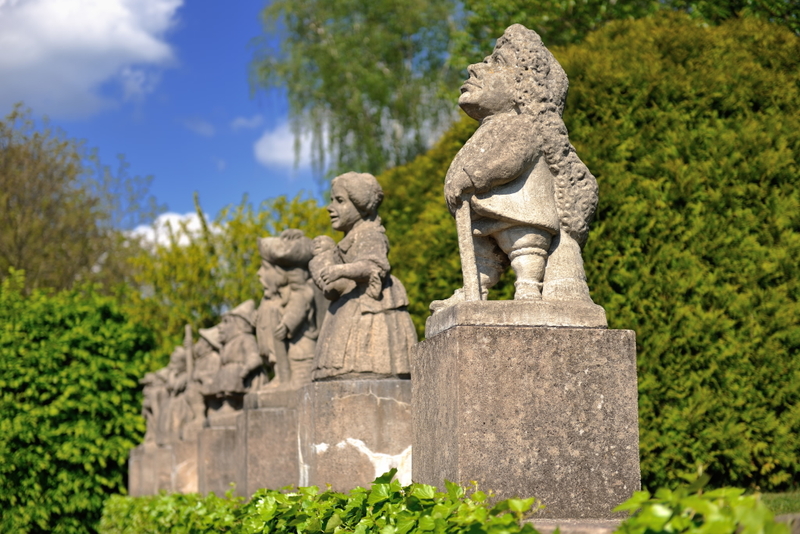 From there you can also view the stone statues of dwarfs who represent the allegories of human characters. You may have noticed there are more of these statues located in front of the castle. The early 18th century statues come from the works of the famous Baroque sculptor, M. B. Braun. Originally they were commisioned by the Count F. A. Spork at Kuks but due to his financial problems Jurkovic was able to obtain them for the gardens. The adjoining parts of the French-style garden were designed to be utility gardens – a vegetable garden and an orchard. The foremost of the architectural layout was a heated greenhouse and an irrigation system which used water from the river Metuje to supply the water for watering and the fountain. All renovations took place in 1910 and 1911. The castle gardens were the last established formal Gardens in the Czech lands at the end of the 20th century.